Home » Retirement Planning » What Is A Roth IRA? 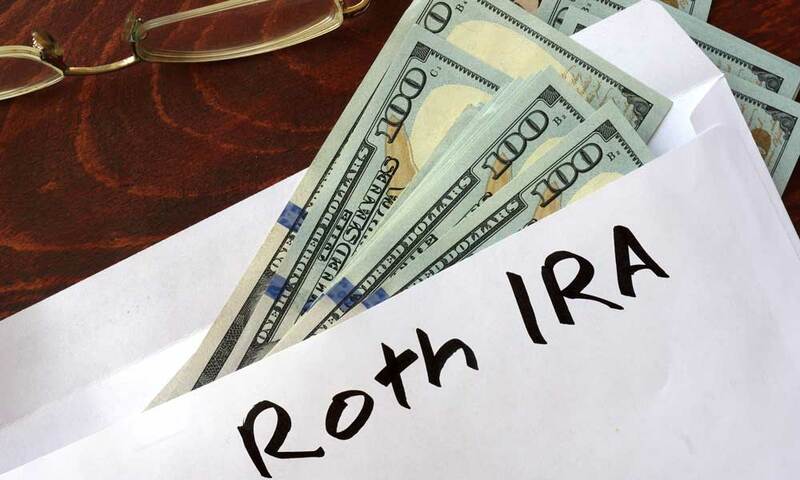 A Roth IRA or Roth Individual Retirement Account is a retirement savings account that you fund with after-tax dollars. You don’t get a tax break for your contributions to a Roth IRA on your year-end income taxes, but during the time the money remains in the Roth IRA, you don’t pay taxes on the gains. When you withdraw the money after retirement, you don’t pay taxes on the money at that time either. It is an entirely tax-free vehicle for your retirement savings. To be eligible to contribute to a Roth IRA, you must have income created by employment known as earned income. Such income would usually be in the form of wages, salary, or small business profits. Income from passive sources such as investments or rental property does not count. If you have earned income, you can make no more than $120,000 annually (in 2018) if you are a single taxpayer. If you are a married and filing jointly, you can make no more than $189,000 annually. These limits may change yearly. Earned income refers to modified adjusted gross income from your tax return. If you are eligible to contribute to a Roth IRA, you can contribute even if you already participate in an employer-sponsored retirement plan. You can also contribute to a Roth IRA in the same year that you switch your retirement funds from a tax-deductible account, such as a traditional IRA, to the Roth IRA. If you are a non-working spouse, you can open a Roth IRA based on your working spouse’s earnings. Individuals over the age over 70 ½ years of age are still eligible to contribute to a Roth IRA. The maximum amount you can contribute to a Roth IRA is $5,500 per calendar year if you are a single taxpayer making no more than $120,000. If married and filing jointly, you can make no more than $189,000. That amount increases to $6,500 if you are age 50 or older by the end of the calendar year. These are known as “catch-up” contributions. You can make a partial contribution if you make between $120,000 and $135,000 filing as a single taxpayer and between $189,000 and $199,000 as a married taxpayer filing jointly. Those partial contributions may change from year to year, so check the Internal Revenue Service’s Roth IRA website for the latest rules. If you make more than the upper-income limit, you cannot contribute to a Roth IRA. If you earn less than the maximum contribution limit, you can contribute that amount. For example, if you make $5,500 during a calendar year, you can also contribute $5,500 during that year. You can only contribute the smaller amount of $5,500 annually, if you are under age 50, or $6,500 annually, if you are over age 50, to all your traditional and Roth IRAs during each calendar year. You have the entire calendar year plus the time until the tax filing deadline of the next year to contribute to a Roth IRA. That gives you 15 ½ months to gather your maximum contribution. If you expect to be in a relatively high tax bracket after you retire, a Roth IRA may be for you since there are no taxes on withdrawals from the account. You can usually withdraw up to $10,000 to purchase a first home for yourself or certain family members without taxes or penalties. Withdrawals are allowed if there is death or disability of the account holder without taxes or penalties. Unlike a traditional IRA, there are no mandatory withdrawals. Heirs of Roth IRAs pay no income taxes on them, but they are required to take distributions from them. A non-working spouse can also have a Roth IRA under certain circumstances and both members of such a couple can contribute to inheritances for their families. If you are a non-working spouse without a Roth IRA and your spouse dies with traditional IRAs only, you can convert the traditional IRA to a Roth IRA. You would have to pay the income taxes on the traditional IRA, but you would have no taxes on the new Roth IRA and would have to take no distributions. If you continue to work past age 70 ½, you can continue to contribute to a Roth IRA, which is not the case for a traditional IRA. You can withdraw money at any time. Your contributions are not deductible on your tax return. You may have to pay a penalty and taxes on distributions taken before age 59 ½ unless you qualify for one of the exceptions listed above. A Roth IRA is a better retirement vehicle for some taxpayers than others. If you are a relatively young, lower income individual or your family is in a lower tax bracket and you don’t think you will miss the deduction on your year-end taxes, you should consider a Roth IRA. It is particularly good for individuals or families in higher tax brackets after retirement and who want to minimize their tax liability during that time. Many people are retired for decades since lifespans are longer than ever and they need the tax protection that a Roth IRA offers more in later years than in earlier years. What is a Self-Directed IRA? What Is A SEP IRA? What Is A SIMPLE IRA? How Much Money Do I Need to Retire?